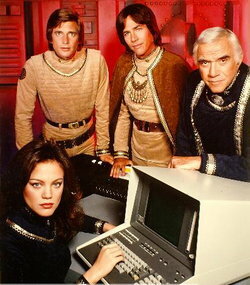 Initially, Galactica was a TV movie project which grew to include a foreign theatrical release. It was produced by Glen Larson which starred Lorne Greene, Richard Hatch and Dirk Benedict. This movie was recut as a pilot for the ABC television series that ran from September 1978 and was cancelled after one season. It was reimagined in 2003 by the Sci-Fi Channel with Edward James Olmos stepping into Lorne Greene's role of Commander Adama. 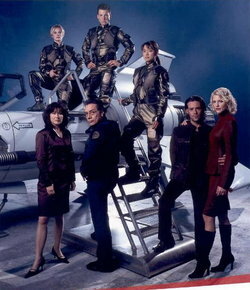 A weekly new Galactica series on Sci-Fi followed in January 2005. 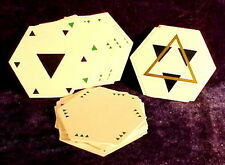 There are also a series of book adaptations, original novels, comic books and video games that have been based on this franchise. 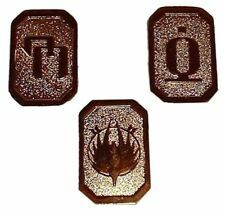 The series title is sometimes formatted with a colon, as Battlestar: Galactica, however it is more commonly formatted without. In another time and another place, there exists a group of humans who live on a series of worlds known as the Twelve Colonies. When we begin the story, the Colonials are, for the moment, at peace with a cybernetic race known as the Cylons. 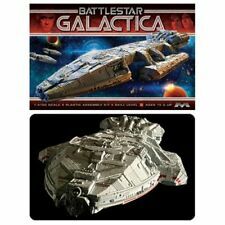 We are also introduced to some central characters beginning with the famed military leader Adama who commands a large space going vessel called the Battlestar Galactica. 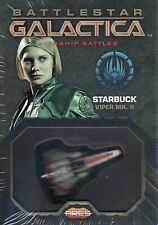 We also meet two of the Galactica's pilots, Adama's son Apollo, and his close friend Starbuck. Through the use of a human collaborator Baltar, the Cylons are able to launch a sneak attack on the Colonies, laying waste to the planets, and forcing most of the few survivors to flee into space on whatever space ship they can find. Of all the Colonial Fleet, only the Battlestar Galactica survives, and Adama takes up the task of leading the survivors into space in search of a place of refuge, still pursued by the relentless Cylons. It is hoped by many of the Colonists that this refuge may be found on the legendary home of the lost Thirteenth Colony, on a mythic planet known as Earth. 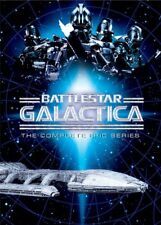 Initially envisioned as a series of TV movies for ABC, which would consist of a three hour premiere and two additional movies of two hours in length movies, Battlestar Galactica was ultimately developed into a full television series. 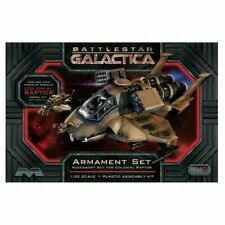 To defray costs, the three hour premiere was recut as a theatrical release, and several weeks before the TV series premiered in America, the Battlestar Galactica pilot appeared as a two hour film in Canada, Europe and Japan. Opening on July 7, 1978, the theatrical release did quite well given modest expectations. The three hour Galactica pilot first broadcast on ABC on September 17, 1978. For the next eight months, 17 original episodes of the series were aired, totalling 24 hours of broadcasting. Citing declining ratings and cost overruns, ABC cancelled Battlestar Galactica in April, its last episode "The Hand of God" being first broadcast on April 29, 1979.